Create defined and enhanced features in seconds with the new Infallible Pro-Contour Kit. Available in 3 shades and paired with the unique Pro-Sculpt brush, the contour kit ensure mistake proof application with easy to follow pointers on the back. This is the back of the packaging. I will be talking about the Light and Medium palettes. 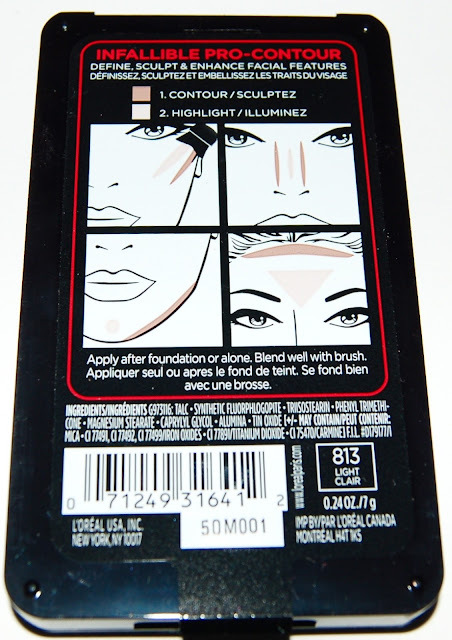 Each little palette has a contour and highlight shade. There is a small mirror in the compact. The powders are really soft and easy to blend. The brush is pretty stiff which is what I like to contour with but I prefer a fluffier brush to highlight my cheekbones with. That said, I did try to use the brush to contour and highlight at the same time and it just didn't work for me. 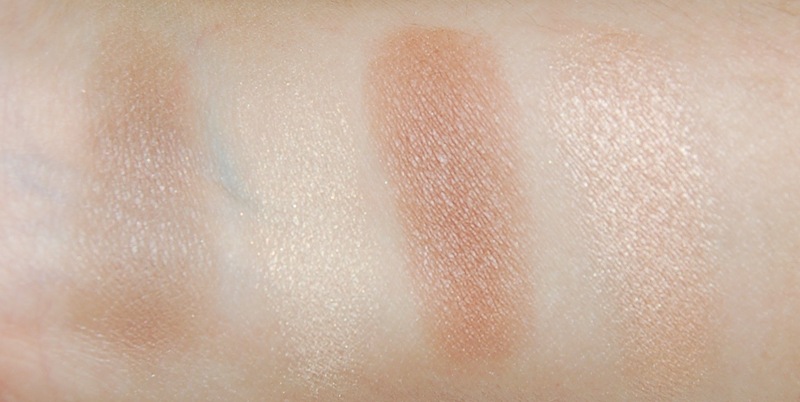 Below are swatches of both the Light and the Medium Palettes. 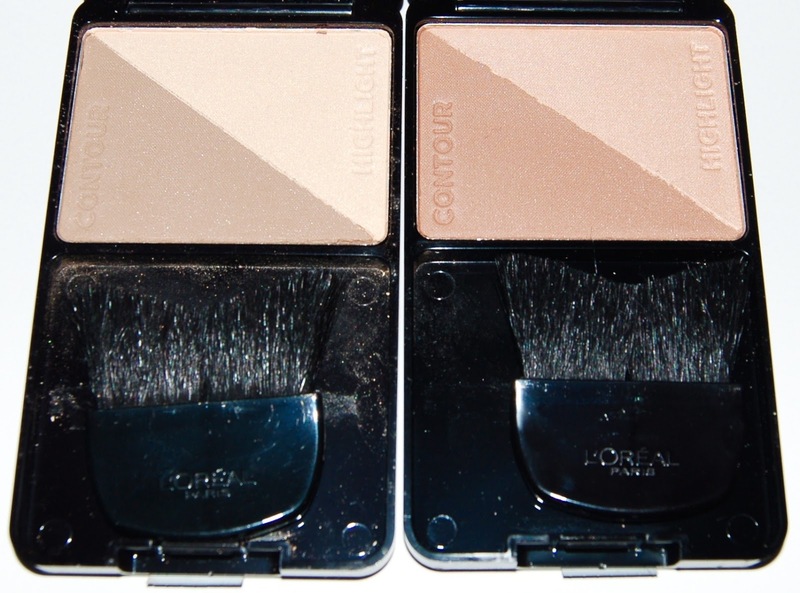 As you can see, the contour shade for the Light Palette is a more cool-toned taupe/brown and for the Medium Palette it's a bit warmer and on the orange side. The highlight shades are both very very subtle. For my skintone, I prefer the bronzer from the Light Palette to contour with and the bronzer from the Medium Palette to use as an all over bronzer. The highlighter from the Light Palette barely shows up on me, even when I pile it on. The highlighter from the Medium Palette shows up a little better but it doesn't have much staying power. 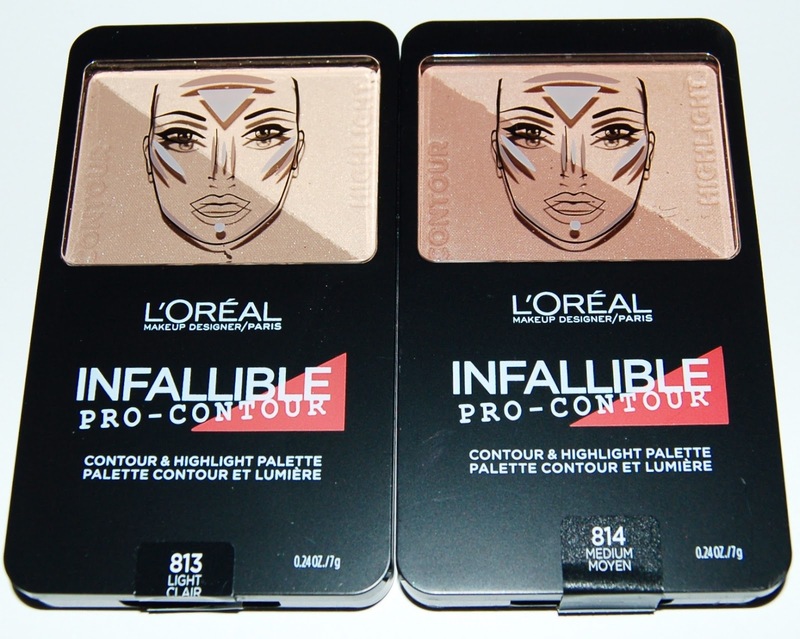 Overall, I think the L'Oreal Infallible Pro-Contour Palettes are just ok. They retail for around $12.99 (they may be cheaper at stores like Target or Walmart of course) and can be purchased at Ulta or anywhere that L'Oreal products are sold.